Now that the cat is out of the bag and Barry Allen is aware that his daughter, Nora West-Allen, has been working with Eobard Thawne this whole time, the final batch of episodes making up The Flash‘s current run will undoubtedly be a markedly different viewing experiences from what we’ve seen so far. In fact, when we pick back up with the gang tomorrow night, it seems like we’ll learn the full breadth of Nora and Thawne’s partnership. Already, the first trailer for the episode has hinted at just that, with the official synopsis for “Godspeed” backing it up, too. But something we haven’t seen yet is the titular character himself. 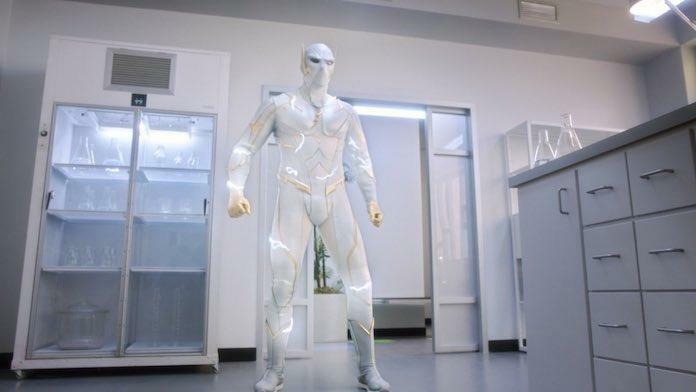 Yes, Godspeed is definitely set to appear on the next installment of The Flash and at long last, The CW has debuted a few photos of him to give viewers an idea of what he’ll look like. Though Godspeed only first appeared in the source material back in 2016’s The Flash: Rebirth – as created by Joshua Williamson and Carmine Di Giandomenico – he instantly made a big impression on the fanbase and as such, folks are super excited to see him arrive on the show. 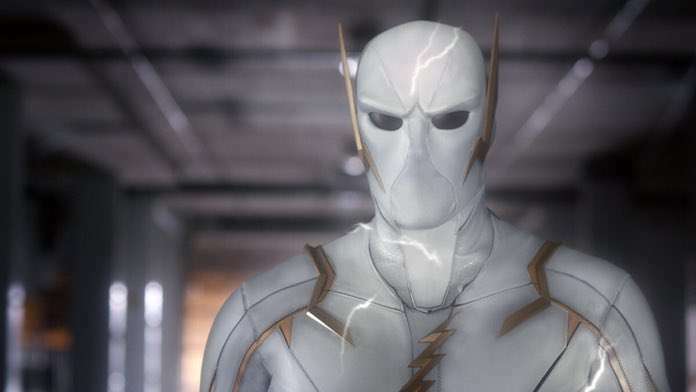 For those not familiar with him, Godspeed’s real name is August Hearst and he was once a colleague of Barry Allen’s at the CCPD and also his new crime-fighting partner. However, it wasn’t long before he became obsessed with getting justice for his murdered brother and unfortunately, that ended up pushing him over the edge into evil. He’s also another speedster who’s arguably faster than Barry, which should make him an interesting antagonist for our hero to face off against. The Flash “Godspeed” airs on April 16th on The CW. Don’t miss it.